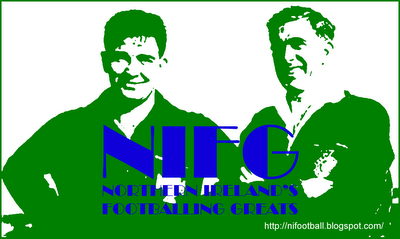 Representative Honours: Northern Ireland: Under-21 (2012-date), Youth, 7 Under-16 Schoolboy Caps (2009). Club Honours: (with Ballymena) NIFL Cup Winner 2016/17. Son of Mark, Ross Glendinning won Schoolboy caps while at Glengormley High School. He came through the ranks at Linfield, adding Under-17 caps to his collection. 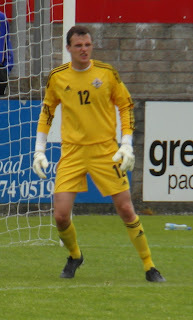 Having spent the first half of the 2011/12 season on loan at Ballyclare Comrades, Glendinning made his Linfield début towards the end of the season with a couple of substitute appearances against Cliftonville and Coleraine as the Blues regular 'keepers, Alan Blayney and Stuart Addis struggled with injury. With Blayney again injured, Glendinning's first senior club starts came early in the following campaign as B36 Torshavn were defeated on penalties in the UEFA Champions League preliminary round, however he returned to the bench when Blayney regained his fitness. Glendinning's club performances earned him elevation to the Northern Ireland Under-21 panel that travelled to Hungary for a friendly in August 2012 and he made his début from the bench. 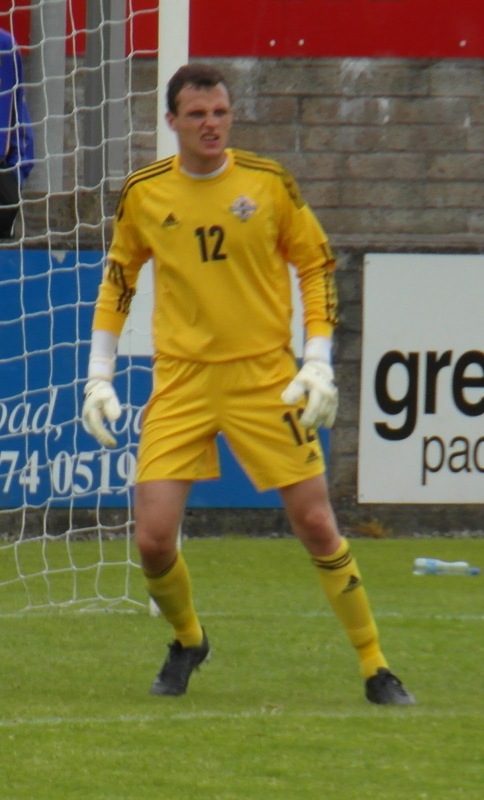 Over the following few seasons Glendinning found himself battling for a starting place at Linfield against Jonny Tuffey, finally permanently displacing the Northern Ireland international during the 2014/15 season. For the 2015/16 season Glendinning was undisputed first choice for the Blues, but they club were suffering an uncharacteristic barren spell. He was injured in the weeks prior to the 2016 Irish Cup final and took a place on the bench for a 2-0 defeat by Glenavon as relative-rookie Gareth Deane was favoured. In the summer of 2016 David Healy signed Roy Carroll and Glendinning was sent on loan to Ballymena where he would once again vie with Alan Blayney for a starting place. Having seen off Blayney, Glendinning's move to Ballymena became permanent for the following season.